CLICK BELOW TO HEAR MICHAEL ERICKSON ANSWER THE QUESTION: WHAT MADE CAMERON PAUL SO SUCCESSFUL AT KMEL? CLICK BELOW TO HEAR MICHAEL ERICKSON ANSWER THE QUESTION: WHAT WERE YOU TRYING TO ACCOMPLISH WITH YOUR MIDDAY SHOW? CLICK BELOW TO HEAR MICHAEL ERICKSON ANSWER THE QUESTION: WHAT DO YOU THINK MADE KMEL SO SUCCESSFUL? 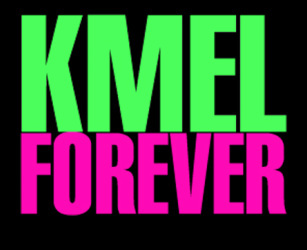 CLICK BELOW TO HEAR MICHAEL ERICKSON ANSWER THE QUESTION: HOW DID KMEL IMPACT YOUR STYLE AS AN AIR PERSONALITY...AND HOW DID IT HELP YOU GROW?